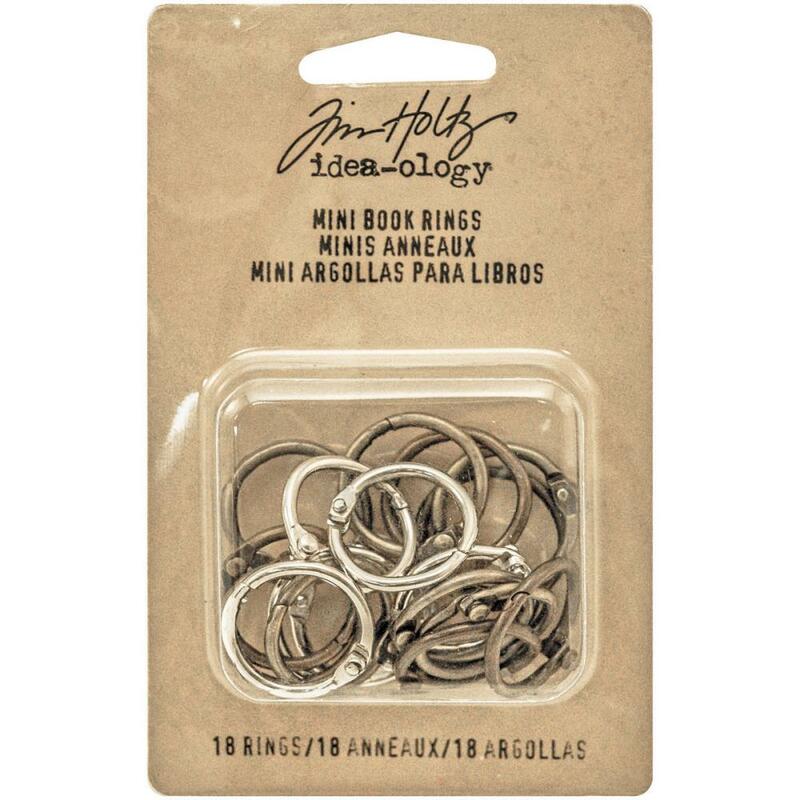 This package contains eighteen (18) Mini Book Rings. You'll find three (3) Metal Finishes - Silver, Brass & Antique. Product by Tim Holtz / Idea-ology. Perfect for your mini projects or attaching charms.